Our world is in decline. Rising sea levels, temperatures, deteriorating O-Zone layer, deforestation, pollution… Despite the sins of our past, of comfort and naivety, each require human attention going forward. Science is clear: we need to protect our home, lest it deteriorate like the imagined world of Christopher Nolan’s Interstellar. But how to communicate this problem in a culture that has politicized Climate Change? Science shares truths, humanities explains the morality behind the truths. Culture has to hear scientific truths with the caveat of what they ought to do to keep the world intact. Thus, from the pastoral landscapes of William Wordsworth and John Keats to the documentary “An Inconvenient Truth”, ecocritical studies are a popular and passionate topic that involve many aspects of today’s popular culture. At its basic level, nature can be represented as the natural world around us, and the physical world in which we inhabit. It can also be defined as the basic or inherent features of something. Literature, television, film, theatre, and scientific writings have sought to enlighten the world of the “nature” of things. By exploring ecology through a variety of lenses, “nature” becomes a more fluid concept, and we are able to see the world in broader terms. This is an interdisciplinary conference in the truest sense. Undergraduates, Graduate Students, Former Graduate Students (within the previous 3 years) are welcome to submit work for the conference. The University of North Alabama’s Department of English invites proposals for papers which investigate any aspect of ecocritical or nature themes in Science-Fiction, other literature, philosophy, meteorology, helio-physics, astrophysics, history, sustainability studies, geology, etc. All forms of research and writing about the subject of Ecocriticism or Climate Change are on the table. For example, topics might include analyses of works that incorporate themes related to environmental narratives, racial studies, globalization, philosophy of ecocriticism, research in the field, etc. We solicit submissions that focus on various types of texts, from canonical works to contemporary or nontraditional texts or media, scientific papers, etc. As for creative works, we recommend short fiction, creative nonfiction, or poetry that explores the popular themes of nature and ecology in its myriad manifestations. 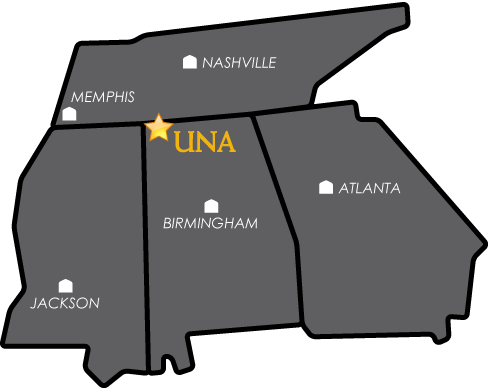 Conference participants will have the opportunity to submit their papers for publication as conference proceedings in UNA's Journal of Sustainability Studies. Admission to the conference is free. Lunch will be provided. We welcome proposals from current undergraduate and graduate students of all levels, preferably those who have graduated in the past 3 years. Presentations that utilize audiovisual elements are encouraged. Please email proposals of 250-300 words to mfish@una.edu by February 10, 2018. All proposals will receive a decision shortly thereafter.